These are the full length programmes for the students which are looking for classroom coaching programmes for their exams. These classes are distributed in such a way that it runs over the time period of 4-6 month, when classes are conducted 5-6 days a week contributing 4-6 hours daily. The program is designed in such a manner that each and every student can consume the topics of subject and gets equal opportunity to learn and apply not like the other coaching institute which over burden the student with curriculum and in the end they get frustrated with the course. There is a unique methodology follows in the DIPS Academy and that methodology is to distinguish the student as per their understanding level and help them to achieve success in the examination as per their convenience. 1. BBM Tests: When Student attend the classes, after 2-3 classes on each topic we offer them a test called BBM Test and according to the result of these test we differentiate student as per their grasping power and give them extra attention so that not only topper student but also average student would crack their exams. 2. BBM Classes: After the BBM Test happen, separate batches of students are made on the basis of their understanding level so that they learn the concept of the subject. So that student got selected and academy would get result. So it is a win-win situation both for student and our Academy. 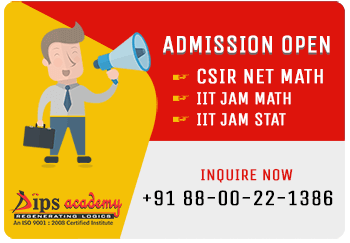 Dips Academy is famous among the student due to above described unique approach which is followed in our academy and other institutes are not keen interested in knowing the student and map their understanding level so that he/she take the most benefit from our coaching.